Brief Description: YEAR 2010. PTO. MIN 60HP. CUTTING HEIGHT 10-100MM. 5 BLADE SPINDLES. CUTTING WIDTH 134". 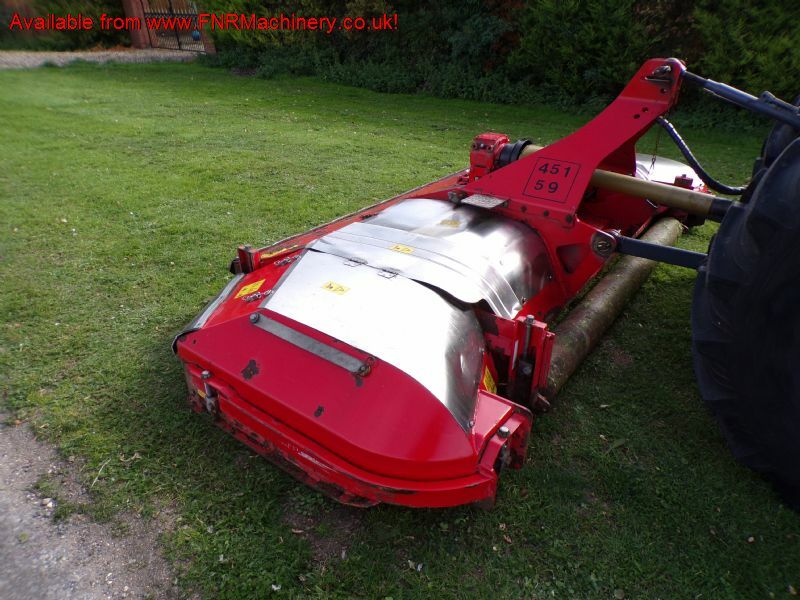 FOLDING 3.4M WIDTH FOR 3 POINT LINKAGE. 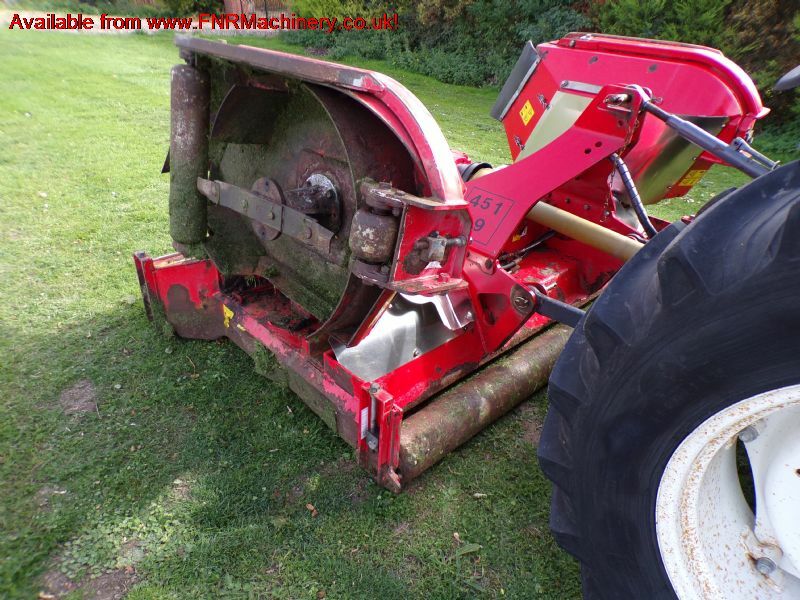 More Information: Stealth set the benchmark for wing mowers in 1992. Already known for its cost effectiveness, safe operation, productivity and unparalleled reliability, the Stealth is now even better. With downwing floatation, simple and infinitely variable height adjustment, full width striping, innovative new maintenance features and LaserBladez, the StealthS2 will continue to set the standard for many years to come. 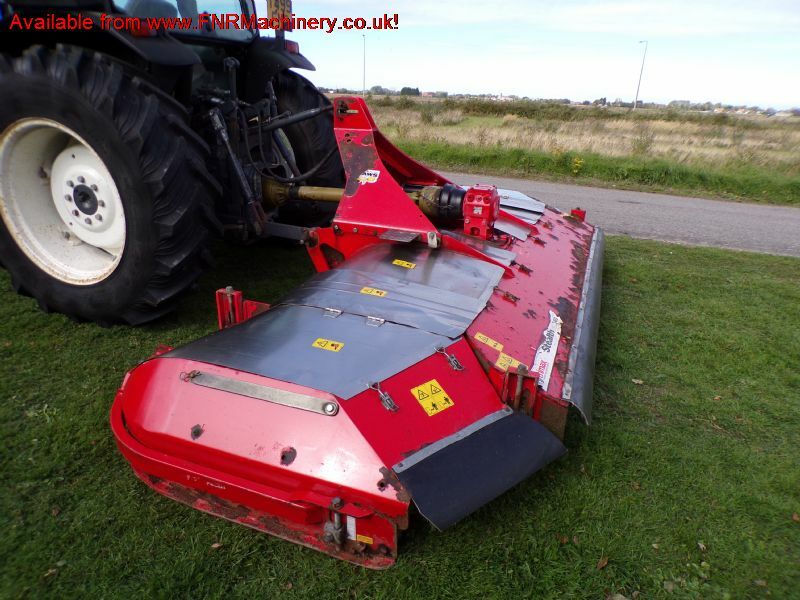 Trimax’s unique CLAWS (Controlled Link Active Wing-bounce Suppression) system, wing movement can be damped to hold the wings in contact with the ground when mowing large flat areas or set to allow unrestricted float over undulating ground without bouncing. SealthS2 is fitted with Trimax LazerBladez, a unique blade system with a carefully engineered centre of gravity and distinctive tilt-forward blade design. 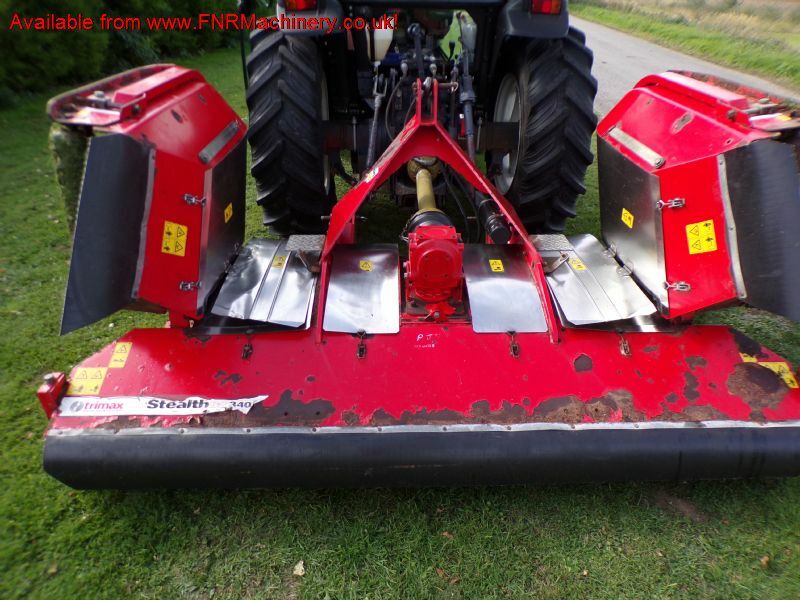 Utilising the LazerBladez full length cutting edge, Stealth produces a clean finish even when mowing at high ground speeds. LazerBladez are made with high grade alloy steel providing a significant increase in blade and bolt life for added safety and lower operating costs. 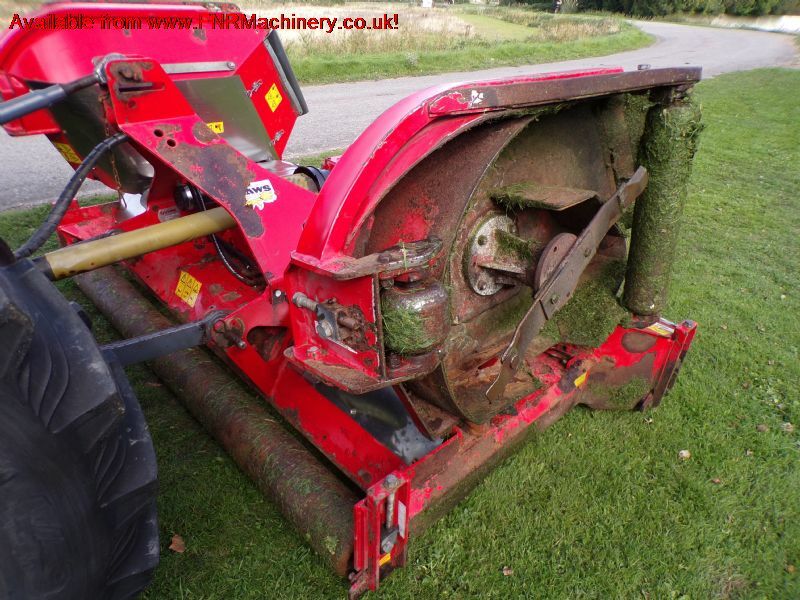 Roller-mowers are significantly safer than non-roller rotary mowers as thrown debris is contained within the cutting chamber. 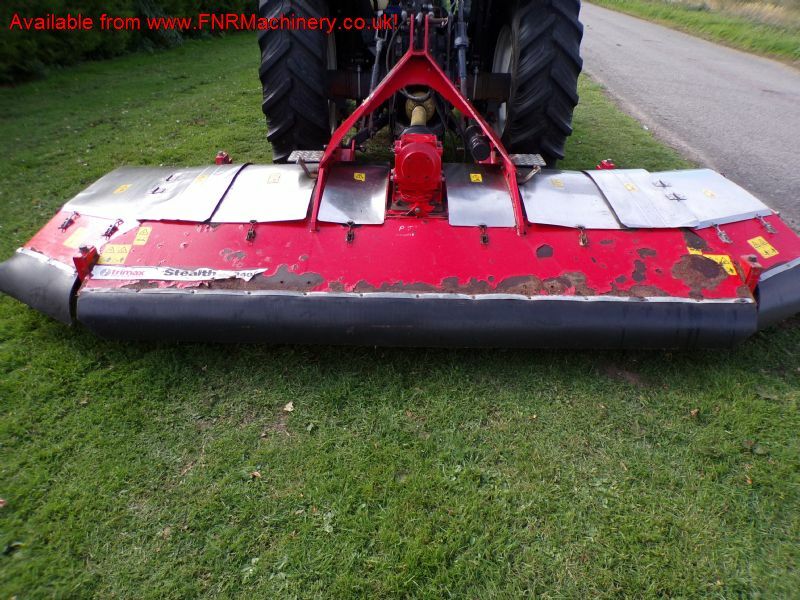 The rollers also allow operators to confidently mow along pathways, kerbs or the edges of banks, reducing the need for other mowing operations. Small ‘bubble� rollers located at the front of the wings are set just clear of the ground to provide anti-scalp protection without affecting the cut.